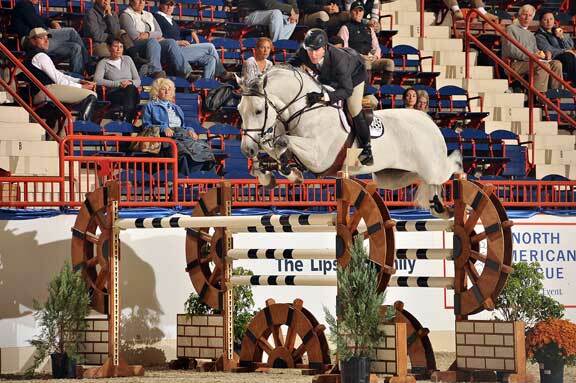 The Pennsylvania National Horse Show begins today in Harrisburg at the PA Farm Show Complex. Have you even seen a horse fly? These equine athletes seem to float over the jumps as they and their riders become one unit of intelligence, strategy, speed, and strength. You can witness these feats of grace and agility for the next 10 days at the Farm Show Complex - just a short drive from our B&B. 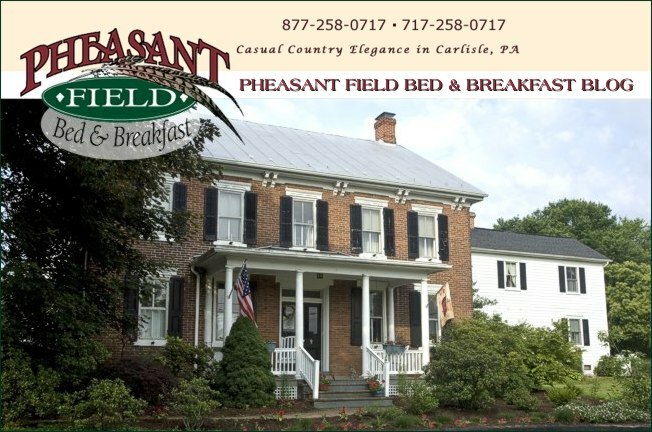 We had the honor to host one of the equine contestants here at Pheasant Field Bed & Breakfast. "Lollapalooza" stayed with us on his way to the show. He traveled here from Arizona to compete in the Youth divisions of the competition. He looks pretty relaxed here at our little farm but you can catch him in action over the weekend of October 14 & 15 at the show.